In the last post of this series I discussed downsizing our material possessions to be able to fit into the Tiny House. 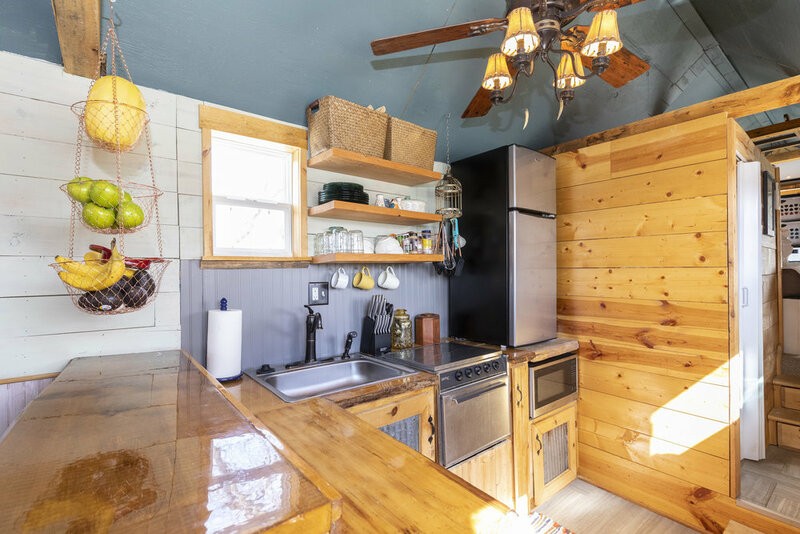 In this 4th and final installment, I am going to talk about some difficulties we had and some tips I would give to potential Tiny Home purchasers. If you are not done hearing about our Tiny Home adventure, email me directly and I can answer any remaining questions you have. For now, let’s laugh together through some of the more difficult moments we had in the Tiny House. We moved into the Tiny in September of 2017, during the most wonderful time of the year – weather wise. We rarely had to use any heat or AC and we loved every moment of that. My husband, who was clearly thinking ahead, had begun to winter-proof the Tiny. He weatherproofed with insulation in every nook and cranny, along with heat-tape on the main lines. He asked me if I thought we should heat-tape everything and I said no, because I just did not think it would be an issue. That year, we traveled out of town for New Year’s and came back to a completely frozen house. We had left the water dripping, but the drips had slowly built a wall of frozen water that prevented our drain pipe from draining. Needless to say, I spent the next day crawling under the house looking for the blockage. When I finally got it loose, I spent the rest of the day insulating the pipe up until the point that it is buried beneath the freeze line. Then for safe measures, I heat-taped every remaining pipe in the house. Heat-tape has a built in thermostat that monitors the temperature of the pipe it is taped to and if that pipe and its contents fall below 37⁰ F, it kicks on with low-levels of heat to prevent the pipe from freezing. We haven’t had any issues since, and we are very thankful because you don’t realize how much you depend on your home to work properly. Thankfully, my husband plumbed the entire house in Pex so there was no pipes that burst or leaks. Other than that, we have had a really smooth-sailing experience in the Tiny House. In fact, we have since moved out of the Tiny House and actually moved from Winfield to the other side of the State. We were happy to find the smallest apartment possible and are waiting on our Tiny House and land to sell so that we can build another Tiny House in our new City. Leaving our first Tiny was very difficult, I will be honest and say that both my husband and I stood on the front porch and cried. We would have brought it with us but our new City and County does not allow houses on wheels as permanent residences. Our next Tiny will be an A-Frame on a permanent foundation – but more about that when it happens. · I would do a stacked washer and dryer rather than a combo. – I didn’t realize this until we left and had a separate washer and dryer. I say this because I still love the combo, we just ended up hanging things to dry really often because we wanted to cut down on dry time. Also, with vent-less washer-dryer combos you have to open it up and clean out the lint pretty often. 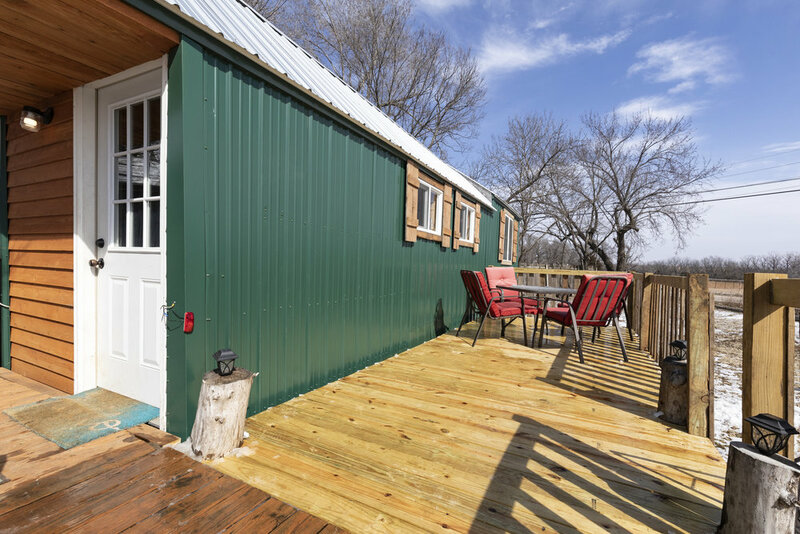 · I would have built our deck much earlier and had that outdoor space the entire time of living there. – We just waited to build it because of cost, but in the end, it didn’t cost as much as we thought and we loved it for the few weeks that we had it. · I would get rid of more stuff than we did. – Moving was easy, I will be honest, we had very little. But moving would have been easier if we had less. So moving into our apartment (which is bigger than our Tiny was - urgh) I took the opportunity to get rid of more stuff. Moving into our next Tiny House, I intend to go with very little. In every other way, I have missed our Tiny House and have longed to be in it again! 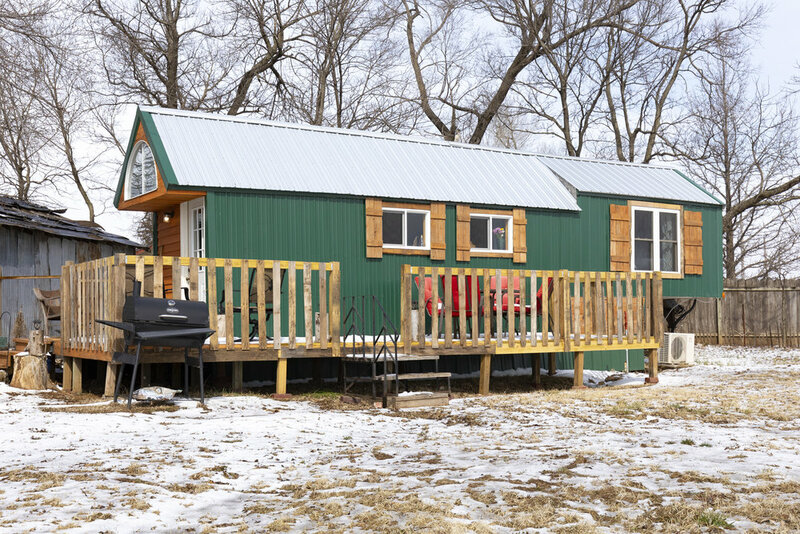 If you are interested in buying our tiny house, email me directly and I can get you a link to view the listing. Thank you for following this series on our Tiny House adventure. We hope that you have enjoyed it! Written by MacKenzie Witzke, partner and Business Manager at Agora Architecture.